Country superstar Brad Paisley has released the music video for his current single, “Bucked Off,” a light-hearted breakup song that Paisley has described as “turbo twang retro-futuristic rockin’ hi-fidelity country music.” View the video HERE. 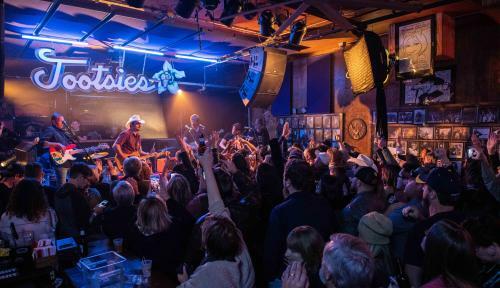 Portions of the video were filmed at the world-famous Tootsies Orchid Lounge in downtown Nashville when Paisley played a free pop-up show in December. Interspersed in the performance footage are humorous clips from possible breakups and live footage from rodeos. “Bucked Off” is co-written by Paisley, Chris DuBois and Kelly Lovelace. The music video was directed by Jeff Venable and produced by Ben Skipworth.